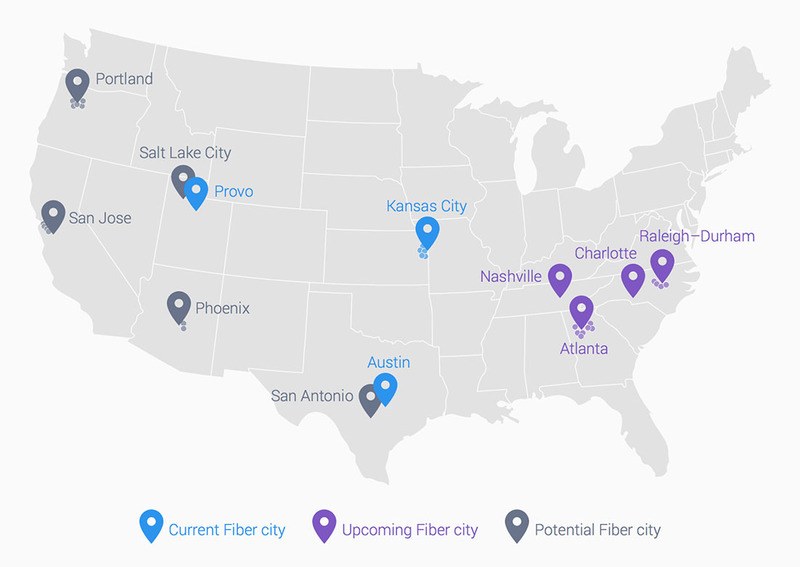 This morning’s report of Google Fiber coming to four new markets that include Atlanta, Charlotte, Raleigh-Durahm, and Nashville has now been confirmed by Google. It’s officially official. The four new markets cover 18 cities in the southeast region of the US. Looking for a timeline of availability? Well, we are months if not years away from these new markets having access to Fiber. Google said that the “really hard work” begins now, with the next step being to work with cities to create a detailed map of where the “miles of fiber” should be laid. Once the network has been designed, a process that should take a “few months,” construction can start. Still, that’s pretty exciting news for residents of Atlanta, Charlotte, Raleigh-Durham, and Nashville. Congrats.